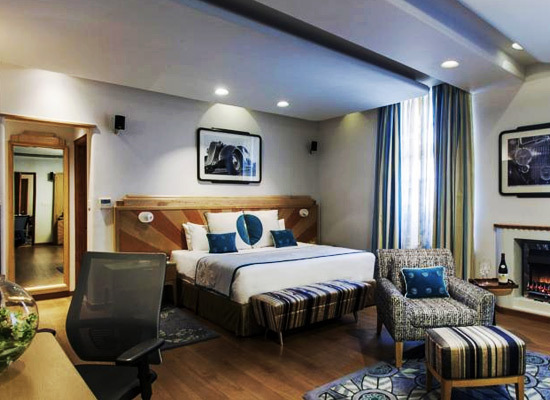 "The new retreat in the capital city of India, Delhi, Vivanta by Taj Ambassador, is one of the most fascinating stays here. The reason behind this is the little surprises available here at every corner. Luxurious food, delicious dining houses and enchanting aura all around; it is perhaps one of the best productions of Vivanta that showcases the excellence of Taj at its utmost glory. 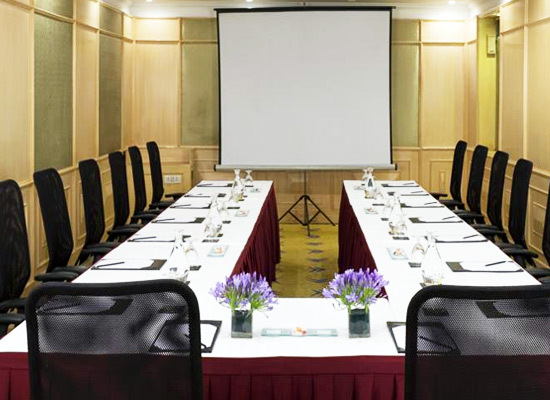 With top level business and spa facilities, this is one of the most comfortable heritage hotels of India. 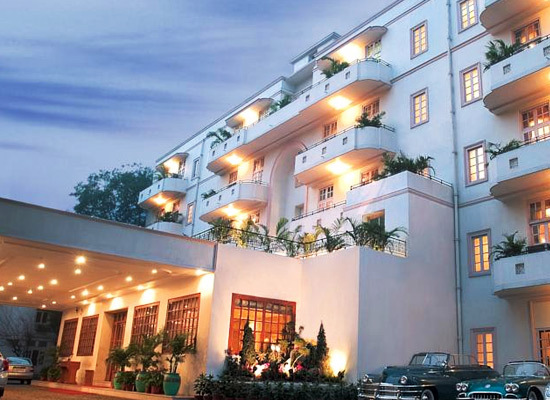 The heritage property, Vivanta by Taj – Ambassador in New Delhi, was constructed in the year 1945 by popular British Architect, Walter George. It was designed with a seamless blending of British and Indian architectural patterns. 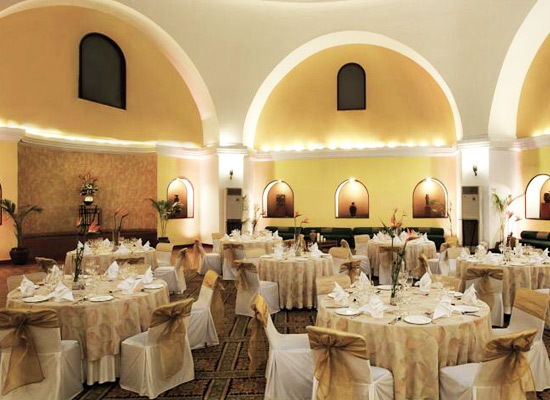 The idea behind its establishment was to provide a guestroom and banquet facility to esteemed colonial guests of Great Britain in the urban town of New Delhi. Superior Charm: These stylish rooms are well lit up and are installed with gorgeous colonial style bathrooms. 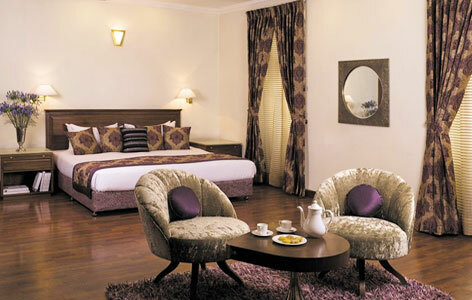 Deluxe Delight: These rooms are more spacious and with much more amenities than Superior Charm rooms. Premium Indulgence: These rooms are named according to what they actually provided- “Premium Indulgence”. Extra stylish and comfy rooms have an exquisite bedroom and a sitting area offering breathtaking views. Deluxe Allure Suite: With an elegantly furnished living room and stunningly decorated living rooms, these spacious suites are ideal for a family stay. 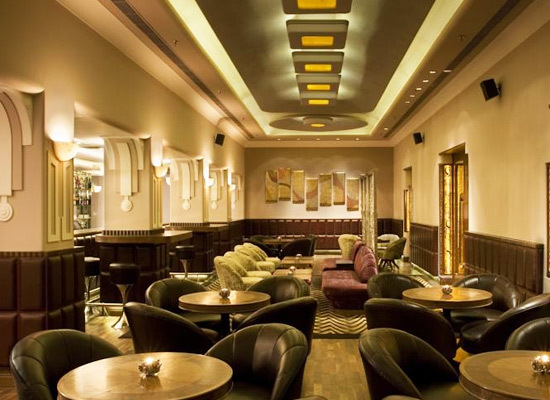 A fine heritage hotel in New Delhi, Vivanta by Taj – Ambassador has made a new mark in the level of culinary delights that are provided in here. With two exceptional Dining restaurants along with a lounge, the guests have a lot of options regarding their food choice. Yellow Brick Road: The multi-cuisine restaurant provides breakfast, lunch and dinner comprising of mouthwatering Indian, Continental and Thai delicacies. Larry’s China: If oriental cuisines make one tick, then this is the restaurant, where they should head towards. Delicious Cantonese, Chinese, Szechuan and Thai delicacies are put on offer here. 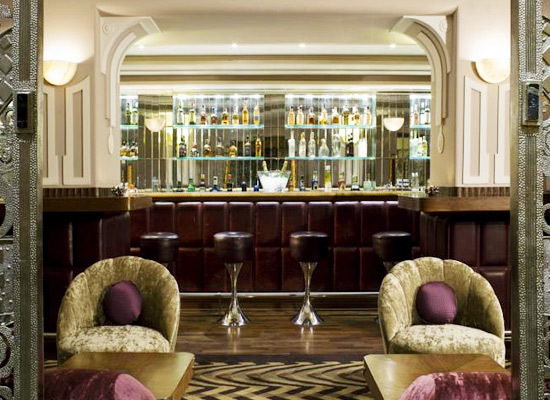 Insomnia: The uniquely, often considered as a quirkily decorated bar lounge offers some of the most experimental cocktails and mocktail to the guests. New Delhi, the capital city of India, attracts large number of tourists because of its diverse cultures, ethics and heritage. The city is always pumped up with energy and people of Delhi are known to be full of life and health. It is perhaps one of the most entertaining tourist destinations in the whole country. The major attractions in Delhi include Red Fort, Humayun’s Tomb, Qutub Minar, etc. The unplanned, overcrowded district of Old Delhi has its own unique charm that attracts tourists as well.